On Saturday, GoaJunction.com had released a news message about Parrikar's failing health and later retracted it. 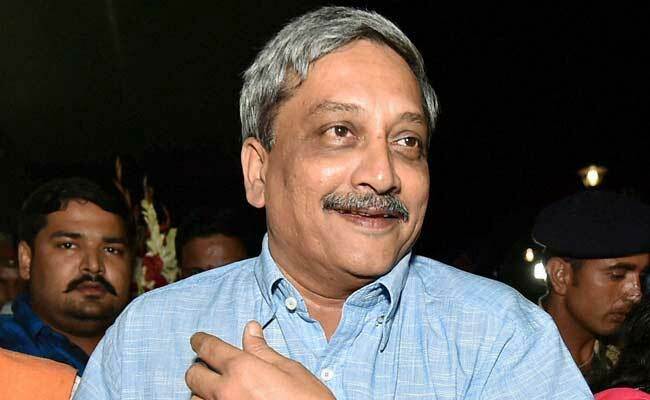 PANAJI: A journalist was on Monday barred from entering the precincts of the Goa legislative assembly, two days after he sent across a message about Chief Minister Manohar Parrikar's ill-health and later retracted it. "I am not being allowed to enter the assembly complex, arbitrarily. I have the required security pass to enter the assembly complex as I have been (having) for the last few years," Mr Volvoikar told reporters at the assembly complex. The journalist also had a confrontation with Atmaram Barve, Officer on Special Duty to the Goa Speaker Pramod Sawant over the issue. Speaking to reporters, Mr Barve did not deny barring Mr Volvoikar from the assembly complex. "We will discuss with the Speaker," Mr Barve said. When questioned about the reasons why Mr Volvoikar was barred from entering the assembly complex Speaker Pramod Sawant said: "Who is he?"